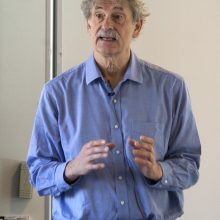 Stephen von Tetzchner is professor emeritus of developmental and school psychology at the Department of Psychology, University of Oslo, Norway. He has worked with children who have a range of disabilities, including children with motor impairment, intellectual impairment, deafness, blindness, Rett syndrome, Tourette syndrome, autism, and Asperger syndrome. His research includes issues related to typical and atypical development in general, and communication and language development in particular, including children who use augmentative and alternative communication (AAC). He has addressed communication and language from a developmental perspective, with a focus on understanding the transactional processes that govern typical and atypical development. He has published textbooks on developmental psychology, signed and spoken language development, augmentative and alternative communication, habilitation, challenging behavior and Asperger syndrome.